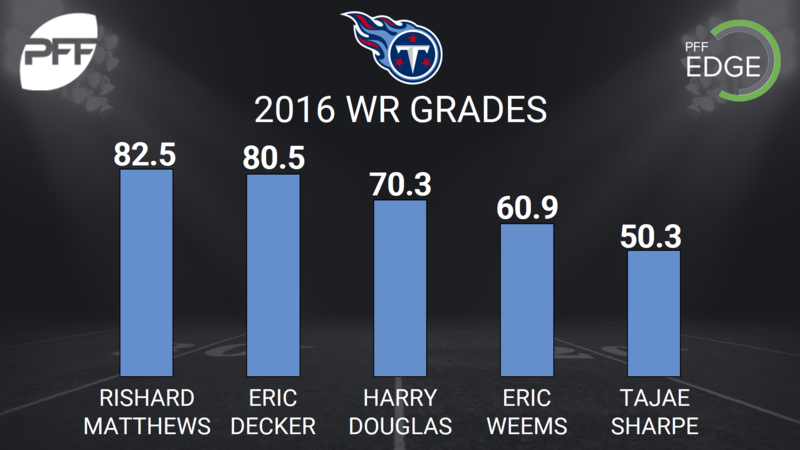 Tennessee Titans WR Tajae Sharpe has been removed from the PUP list following offseason foot surgery in June. With first-round rookie Corey Davis (hamstring) and free-agent Eric Decker (ankle) nursing injuries, Sharpe could get some first-team run in practice and their next preseason game Sunday against Chicago. The 2016 fifth-round rookie turned heads last preseason and had his best game of season Week 1 against Minnesota but failed to make an impact as the season progressed, finishing the year with a grade of 50.3 (96th out of 115 qualifying wide receivers). Sharpe did not play more than 20 snaps in any game from Week 8 on, after doing so five of the first seven weeks. His 1.08 yards per route run was tied for 79th of all wide receivers in 2016.